For decades The Devonshire brothers have been entertaining audiences in cities and towns across the U.S. including San Diego, Las Vegas, Phoenix, Chicago, Nashville, Memphis, Indianapolis, Louisville, Atlanta, Orlando and New York City. Their impressive list of clientele includes Walt Disney World, Six Flags, General Electric, Freemont Street, Harrahs Casino, Honda of America, NASCAR, Clear Channel Communications, Blackrock Financial, The American Red Cross, Texas Roadhouse, The Hard Rock Cafe, The United States Navy, and the world famous Surf Ballroom in Clear Lake Iowa. The Devonshires have performed with numerous rock legends such as Joe Cocker, Jefferson Airplane, The Doobie Brothers, Eddie Money, The Edgar Winter Group, Badfinger, REO Speedwagon, Foreigner, Cheap Trick, Paul Revere and the Raiders, and The Temptations. The Devonshires present the LEGENDS IN ROCK Concert TM. 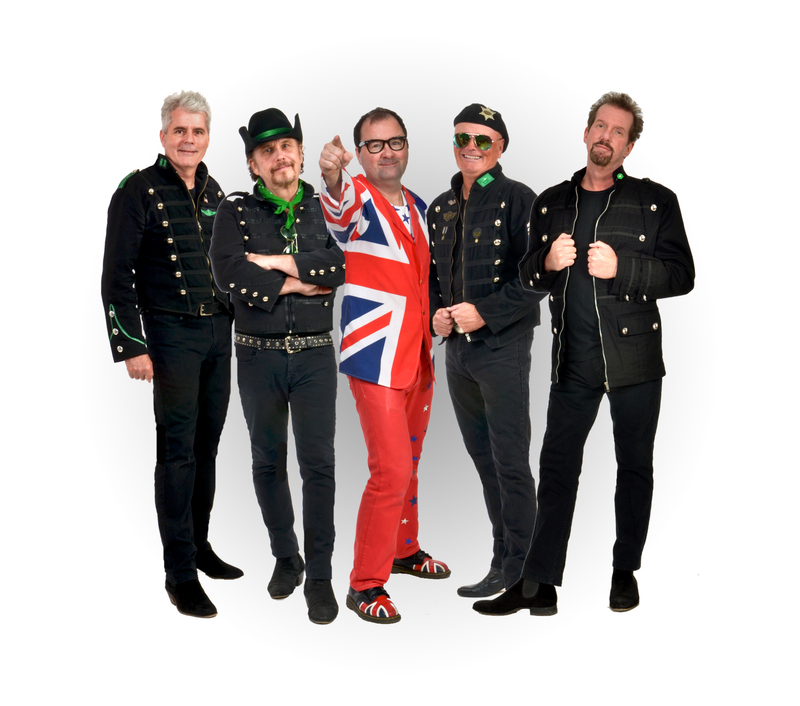 The show pays tribute to the rock legends of the 70's and 80's and is performed with exceptional musical precision, fully costumed and suitable and fun for all ages. The band is made-up of an all-star cast of brothers/musicians, each a legend in their own right. The Devonshires "have left an indelible mark in rock music history". "They're making a name for themselves around the country" (The Louisville Courier Journal) and "An absolutely fantastic, first-rate show" (Brad Ross, Disney World) are just a few of many accolades for The Devonshires. Look for The Devonshires LEGENDS IN ROCK Concert in a city or town near you, it's a show you definitely won't want to miss!